invitation stand apart from the rest. 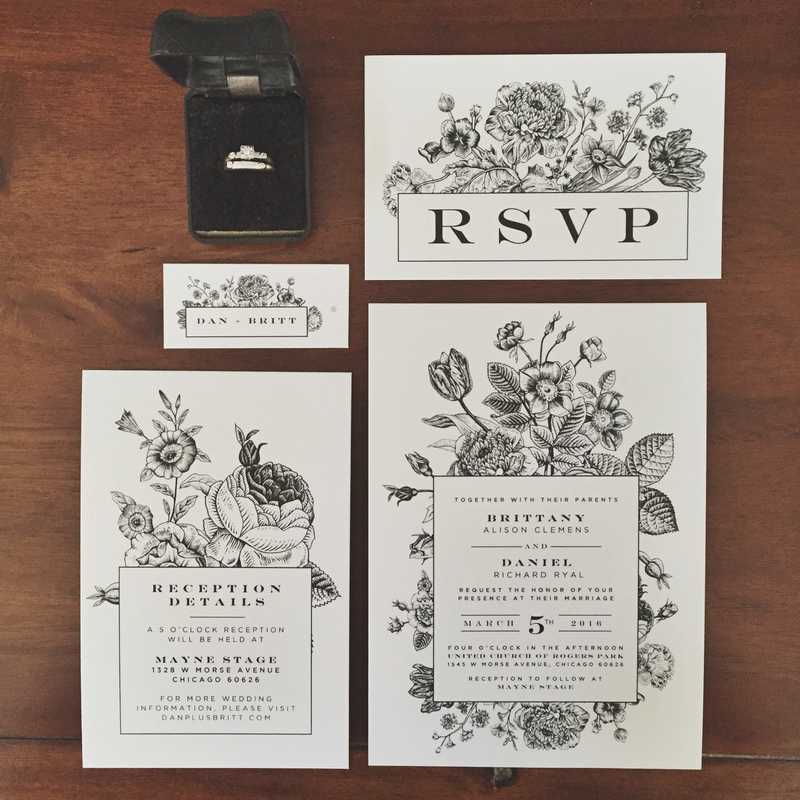 Your invitation sets the stage for your entire wedding. Choose from a library of invitation suites that have already been designed. 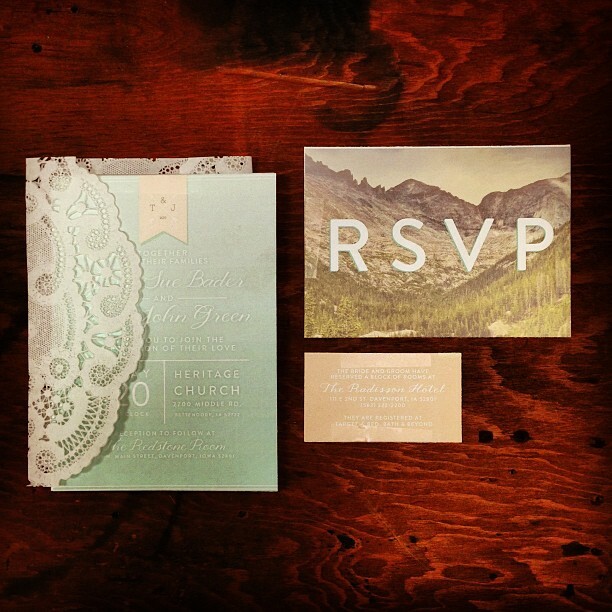 With hues of mint and peach, these dreamy mountain inspired invitations are loaded with detail. 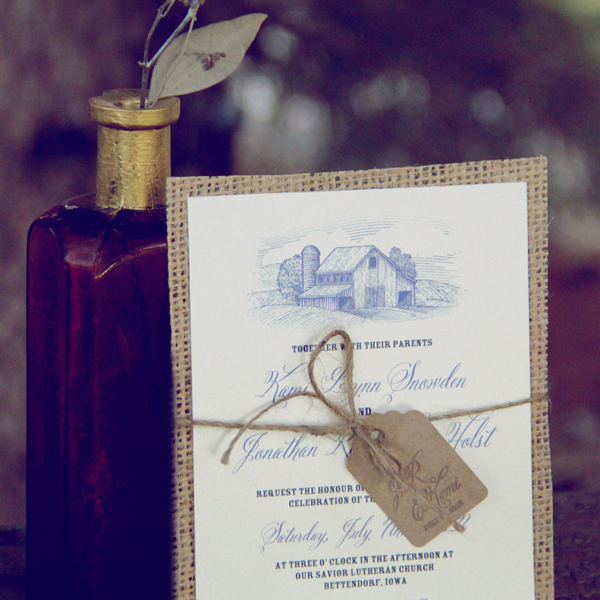 Includes the main invitation, RSVP card and a details card, all wrapped in a paper doily and tied with bakers twine. Can be customized to match your wedding colors. Stardream ivory cardstock mounted on burlap and tied together with twine and a custom stamped kraft tag. Accompanied by kraft paper RSVP and reception card. Can be customized to match your wedding colors. As seen on Rocky Mountain Bride! Perfect for your rustic, vintage or outdoorsy wedding! 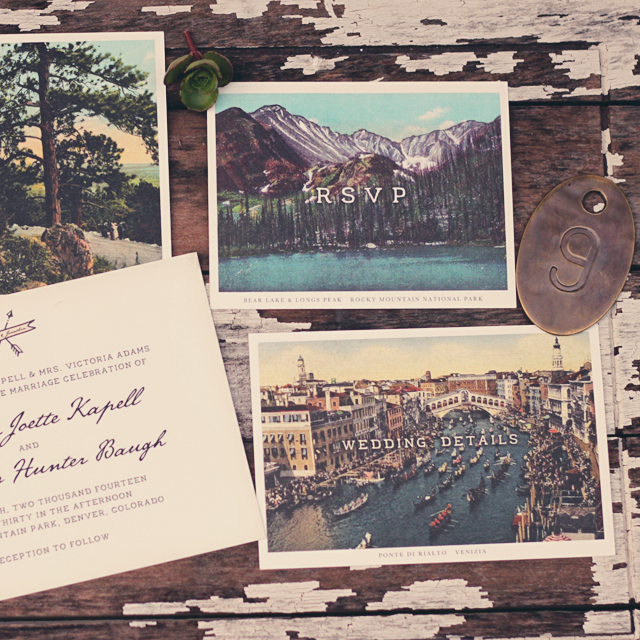 These vintage postcard inspired invitations are printed on 110 lb cotton cardstock and are tied with your choice of baker’s twine color. Postcard images can be customized to fit your location. How lovely are these vintage botanical inspired wedding invitations? Black ink printed on white cotton cardstock and tied with a thin, black thread. Pricing varies depending on style and design. Contact me and we can come up with a custom quote to fit your vision! The beauty lies in the details. Small details help set your wedding day apart from the rest and help make it one your guests can’t stop talking about. Prices will vary due to customization of each product. Let me know what you’d like and I can come up with a custom quote for you.